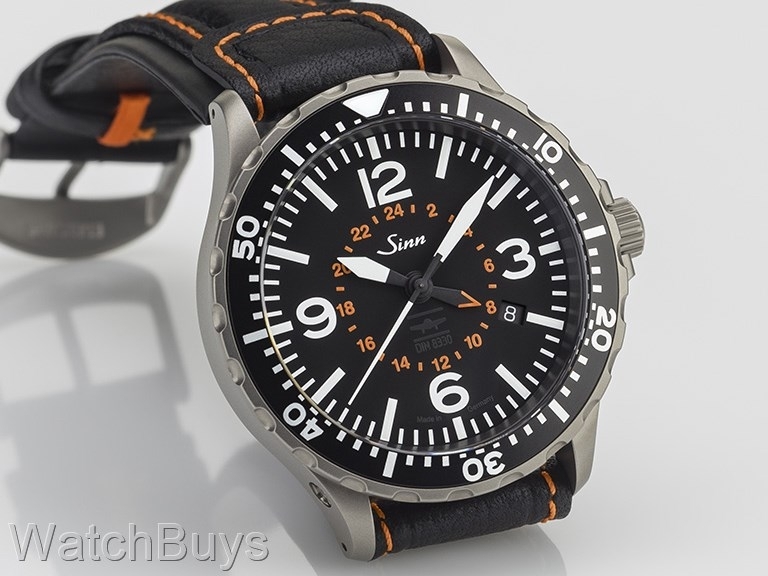 The new Sinn 857 UTC VFR is one of the first pilot watches in the world to be distinguished by precisely defined functional and technical features to withstand vibrations, shock loads, centrifugal force loads, temperature changes and magnetic fields occurring in flight. These tests ensure that the 857 UTC VFR can act as an all-round replacement for the on-board timekeeping instruments available to pilots under visual flight rules (VFR). This watch is also capable of tracking two times zones through the use of a second hour hand on a 24 hour scale for indication of AM and PM. 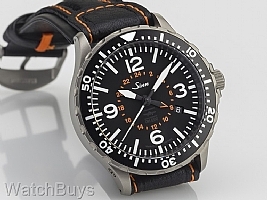 This watch is equipped with a Sinn double stitched calf leather strap with tang buckle. Verified Owner Comments: Extremely legible, high-contrast hour/minute markers, date and hands on a very matte dial. Excellent finishing on case, dial, crown, hands, date wheel, 2AR crystal. Reflections are minimal due to the matte dial, and 2AR crystal. +1s/day. Verified Owner Comments: Shipping was prompt, customer service called prior to confirm information. Very helpful! Watch ticks like it should. It's even better looking in person. I could not be happier! If you are on the fence, pull the trigger, you will be glad you did. Verified Owner Comments: German precision tool was what came immediately to mind when handling this watch for the first time. Fit and finish are absolutely perfect and it looks incredible without any unnecessary design touches. This will be taking over the number one spot in the daily wear rotation.